The most important factor in delivering quality and effective healthcare is a dedicated and skilled nursing staff. At Hampton Ridge, our caregivers go the extra mile to help patients get back on their feet and return home as quickly as possible. They work as a team to effectively implement each individual’s plan of care. We carefully select nurses and aides for their skill and experience, as well as for their caring and empathetic natures. For your peace of mind, all employees are subject to extensive background checks. Because of our high rate of employee satisfaction, we enjoy longevity of staff. 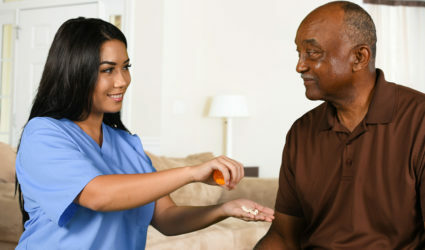 This is especially significant in long-term care, where relationships between caregivers and residents play an important role in their thriving.